Ross Roofing & Construction, Inc. They're skilled, on time, professional, and they do exactly what they promise they'll do. I've had no problems at all with them. They're reliable. They followed through on their word and their timing. I thought they had very good communication skills and they have the ability to work well with other subcontractors. They did a great job. They do quality work and they have very good prices. I've worked with them for a number of years, and they're very responsive to my needs. 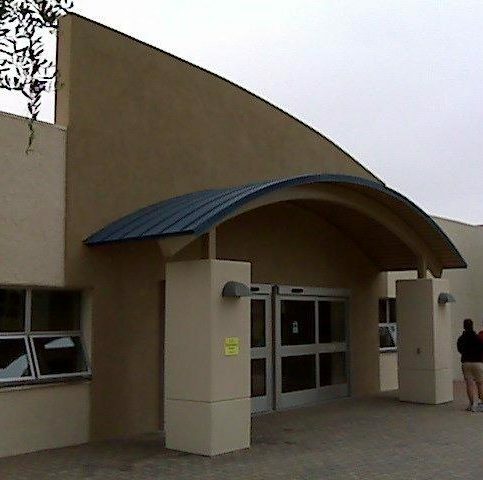 Ross Roofing & Construction, Inc. provides a variety of residential and commercial roofing services, as well as solar installation, for clients in Monterey, Santa Cruz and San Benito Counties, including new construction roofing, repairs, re-roofing, waterproofing and real estate roof inspections. 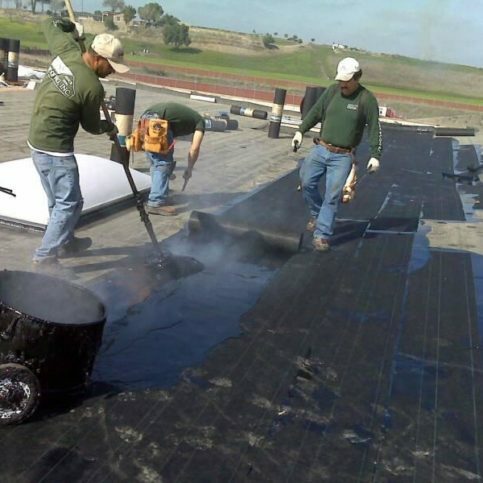 The family-owned and operated company has experience working with all types of high-quality roofing materials, from single ply Duro-Last membranes to asphalt shingles, metal, wood and two-piece clay tile roofing. 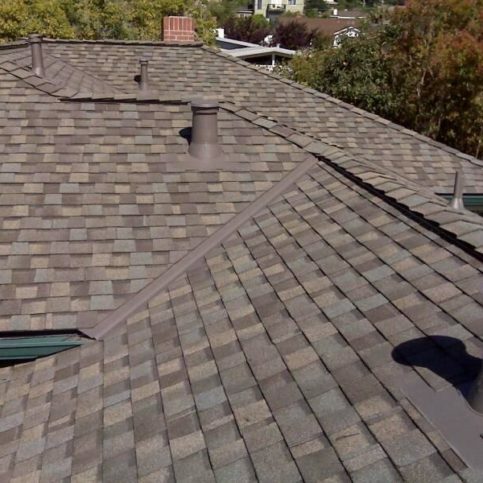 It’s also Monterey County’s only certified Owens Corning Platinum Level Shingle Installer and employs certified Tile Roofing Institute Applicators. DIAMOND CERTIFIED RESEARCHED CAPABILITIES ON Ross Roofing & Construction, Inc.
Company Name: Ross Roofing & Construction, Inc.
DIAMOND CERTIFIED RESEARCHED ARTICLES ON Ross Roofing & Construction, Inc.
Ross Roofing & Construction installed these high-quality sidewall shingles and slate roofing. When buying or repairing a roof, many people know to insist on a warranty, but they often discover that getting repairs covered can be deeply frustrating and, in some cases, nearly impossible. Ross Roofing and Construction offers a workmanship warranty lasting up to 25 years–and the peace of mind that goes with it, says Mike Ross, the company’s president. The reason, in part, is Ross Roofing typically installs a complete roof system made by a single manufacturer, so customers don’t experience the “finger-pointing” that’s common when different parts of a roof are warrantied by different companies, says Ross. Moreover, reimbursement from Ross Roofing doesn’t decrease over the course of the warranty, unlike “pro-rated” warranties that reimburse less with each passing year. Mr. Ross also notes the alarming frequency with which warranties are voided because roofing companies have performed poor attic ventilation, “a problem you’ll never encounter with Ross Roofing,” he says. The company’s warranties also cover disposal and removal of discarded materials. 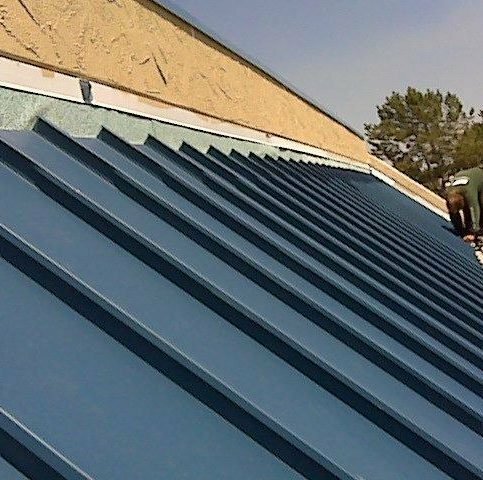 Several years ago, Ross Roofing discovered the companies supplying its gutters didn’t meet its exacting standards, so it established its own gutter and sheet metal division. As a result, it’s now firmly in control of its own quality, production and scheduling. Mr. Ross believes attention to detail takes a bit more time, and refuses to give installers an incentive to rush their work. Instead, they’re “paid to actually care about the end result,” he says. According to Mr. Ross, because its specifications and warranties are superior, Ross Roofing can “provide a roof that lasts a decade longer than the competition’s.” He also states that 98 percent of customers surveyed report they’d use Ross Roofing again. When you’re hiring a roofing company, you want one person in charge. For the highest level of quality control, you want a roofing crew with a single foreman who manages every aspect of the project, recommends Mike Ross of Ross Roofing and Construction. Oversight leads to continuity, which in turn improves results. Mr. Ross also recommends checking whether a prospective roofer has a strong Better Bureau Business rating, especially if the roofer offers you deep discounts. “Many of these people have several complaints, with a D or D-minus rating. There’s a reason they’re $1,500 cheaper,” he says. Also, remember that manufacturers won’t honor warranties on products that were installed improperly, so make sure your roofing contractor is certified by the manufacturers of the products it sells and installs. Finally, says Mr. Ross, get references. Every company should be willing—eager, in fact—to show off its portfolio of finished projects and refer you to the addresses of houses currently undergoing work. Q: My roof leaks. Do I need to have it totally replaced? A: To decide, you’ll need to first determine the source of the leak, which usually requires a professional roofing contractor. Too many homeowners try to save money by attempting to fix the leak themselves and, as a result, never address its source. They’re more likely to end up with costly dry rot repairs as the roof deck warps, cracks and rots from excessive moisture that never dries out properly. Ironically, these do-it-yourselfers are more likely to end up replacing the entire roof sooner than necessary.A good guideline: When a repair begins to approach 20 percent of the cost of a complete re-roof, consider re-roofing. Incidentally, the best way to avoid roof replacement is to prevent serious damage in the first place. Have your roof regularly inspected twice each year. Q: Does it take a long time to replace a roof? A: The best way to know is to ask the roofing contractor when they give you an estimate. 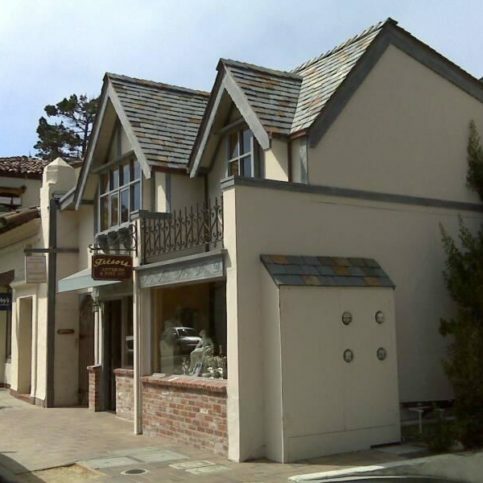 But estimates usually aren’t written in stone—unforeseen problems like dry rot or inferior roof deck sheathing may delay the project. Obviously, bad weather is a factor that can interfere with work, so it’s always advisable to be flexible in your expectations and plan for roof replacement when the weather is more favorable. Most small to midsize roof jobs need three to five days of good weather to successfully complete. Q: Do I need to be home during my roof estimate? A: Yes. For one, it’s best to interview roofers face to face. Ask for letters of reference, proof of insurance (liability and workers’ compensation) and photos of previous work. Ask how they plan to ensure a professional, high quality, no-hassle installation or repair. The more professional roofing companies will have an organized presentation that lasts anywhere from 15 minutes to two hours, depending on the client’s questions.We don’t expect you’ll feel comfortable choosing Ross Roofing until you’ve heard our rich history of roofing success. We’ll also give you detailed breakdowns, explanations and instructions as to how we plan to succeed with your roofing needs. Q: Do I need to be home while the work is in progress? A: Typically not. Any work on your roof is bound to be noisy, so you may prefer to leave your home and return when the work is complete. Q: Is it expensive to replace a roof? A: There’s no single answer. 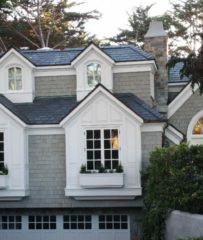 Each roof is different in terms of pitch, hips, gables, undershots, drainage, flashing, etc. Even one of these factors could affect the price of a roof by thousands of dollars. Savvy roof buyers create a bid specification sheet that explicitly outlines what they want and present it to each roofing contractor bidding on their project. It gives them the upper hand when assessing bids. Q: What’s the typical lifespan of my roof system? A: There are roofing systems made from wood, metal, clay, slate, concrete, cementious fiber, asphalt, plastic and modified materials. Each system has unique properties that assist in longer lifespans. A good way to determine how long you can expect your roof to last is to check with the manufacturer’s warranty. Use the warranty as a gauge and keep in mind that what the manufacturer claims for lifespan is usually meant to be interpreted under ideal installation factors. Also, a preventive roof maintenance plan that utilizes seasonal inspections can greatly enhance the lifespan of your roof. Q: What does it mean to ventilate my roof? Is it necessary? A: Because your roof protects you from moisture and heat, ventilation seems odd, but it’s among the more important aspects of roof performance. A great deal of moisture accumulates in a home; it works its way to the top of your attic space which, in the summer, becomes very hot and humid. Mold spores thrive in this environment, causing shingles to become warped or loose and slip off. You may see warping or buckling of the wood underneath the roof. This can lead to serious structural damage and, ultimately, even collapse. Proper and well-planned attic ventilation lets moisture escape. It also helps balance out the moisture that accumulates on the roof. Q: I don’t like the idea of strange people on my roof. Can I trust your roofers? A: Our guys are in uniform—they’re very presentable and professional. They know how to behave on a roof and get good results. We also do background checks on all our roofers. Q: How can your company offer workmanship and product material warranties that cover twice the time as the competition? 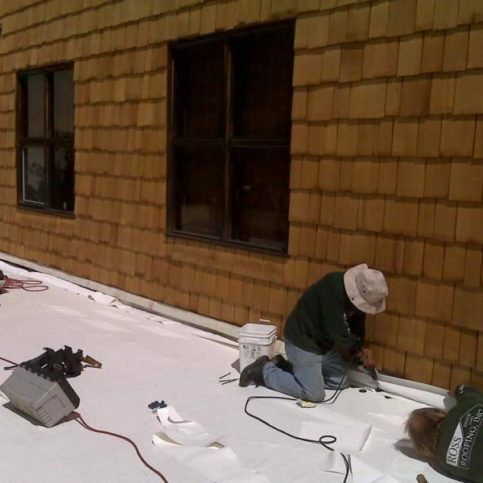 A: We took the time to become certified by the manufacturers for shingle installation. Also, we install entire roof systems from a single manufacturer, so you get far more product integrity and, subsequently, we can offer a better warranty. SELECTED PHOTOS FROM Ross Roofing & Construction, Inc.
Mike Ross is president of Ross Roofing & Construction, Inc., a Diamond Certified company. He can be reached at (831) 708-8969 or by email. Outside of work, Mike spends his free time on a variety of active pastimes. “I’m a Scoutmaster for the Boy Scouts of America,” he details. “I really enjoy getting kids out from behind their Xboxes and PlayStations and into nature, where they can learn new skills.” In addition to his work with the Scouts, Mike enjoys hobbies like surfing, photography and golf. A: My wife’s chocolate chip cookies. Q: If you could time-travel, would you go to the past or the future? A: The past. I’m a religious guy, so I’d like to see some of the events recorded in the New Testament. A: Usually, I spend rainy days chasing roof leaks, but if I’m not working, I like going to see a movie with my wife. A: Old coins—I have a pretty good-sized collection. 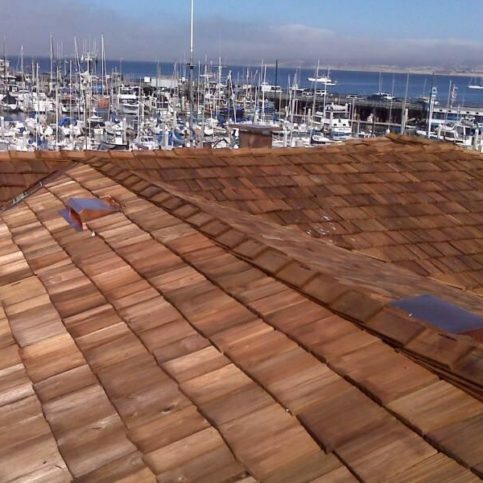 MARINA — As a preventative measure, regular roof inspections are vitally important, as they provide an opportunity to catch problems like leaks and dry rot before they compromise the roof’s integrity. The frequency of inspections should depend on the roof’s age. If your roof is fairly new, it only needs to be inspected every three to five years; once it passes the 20-year mark, it should be inspected annually. While it’s recommended that roof inspections be performed by professionals, some homeowners prefer to handle this task themselves. However, before going up on your roof, it’s critical to address safety. One of the most common mistakes homeowners make is using the wrong type of ladder to access their roofs—specifically, an A-frame ladder. 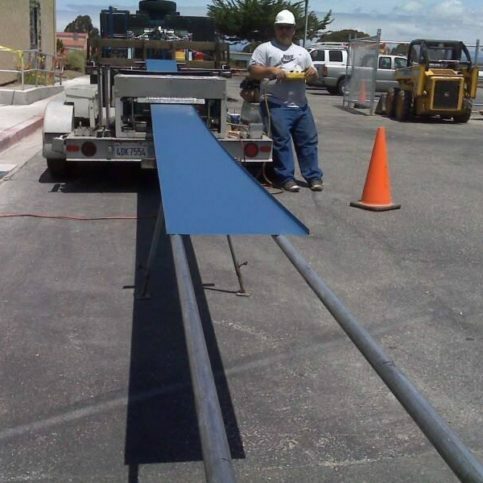 This type of ladder is susceptible to tipping over when misused, which can lead to injury. The correct type of ladder for accessing your roof is an extension ladder. Rest the ladder against the gutters or rake edge of the roof and make sure it’s positioned at a safe angle. Most importantly, tie off the ladder at the top—this will keep it anchored to the house and prevent it from tipping over. MARINA — Host, Sarah Rutan: Whether your roof needs to be inspected, repaired or replaced, it’s worthwhile to consult the advice of a seasoned professional. Today we’re in Marina with Diamond Certified Expert Contributor Mike Ross of Ross Roofing & Construction, who has three tips to share. Diamond Certified Expert Contributor Mike Ross: One thing that homeowners typically forget or neglect to do is to remember to get their roof inspection. Roof inspections are vitally important. If you have a newer roof, it’s probably every 3 to 5 years. If you’ve got an older roof, say 20 to 30 years old, you’re probably looking at getting them inspected every year. Another helpful tip that we see all the time is: If you’re going to do repairs or have your roof redone, have it done by a licensed and insured roofing contractor, a pro. Someone who’s been doing that for 20, 30 years. There are a lot of things that can go wrong with roofing very quickly. And it’s important to have someone that knows what they’re doing and has the proper insurances, liability, and Workers’ Comp. And one thing I’d like to point out is homeowners that do elect to go up on top of the roof really should stay away from using A-frame ladders. We see that all the time. They’ll pull out their A-frame ladders and it’s really not a good idea. Those tip over. And that’s where most of the accidents happen. Broken hips in the ER. You don’t need to do that. Get an extension ladder. And put that up to your gutters or to the rake edge of your roof. And tie that off to be safe. Be safe. It’s a good thing to do. Diamond Certified RATINGS ON Ross Roofing & Construction, Inc.
Ross Roofing & Construction, Inc. : Average 9.3 out of 10 based on 301 unique customer surveys of customer satisfaction. I have been using them for a year. Only use them. They did a quick quality job. They have always done a great job, we usually prefer to use Ross Roofing for any projects. Sometimes we have to use others because of their scheduling or what not, but we always prefer them. They do quality work, consistently. They did great work for a couple of our clients. They do a great job and work well with our guys. I like that they can get quality work done quickly. They help with a lot of properties in their area, they are one of the better vendors we use for roofing and other various repairs. They are independent, which is what we need. We are not able to be at each site for the little bits of work that need to be done. So I don't like to make those comments, but I would say that they are a good company. They had good follow up. I'm a general contractor and I have used them for years, they are great to my clients. They came on a Saturday to finish a job. I thought they were good, they did the job fast and the quality is great. I couldn't believe the before and after pictures. Nothing, just the overall job was good. They were available quickly to repair our roof. It happened a while ago so it's not in the front of my brain, but they were nice, the price was fair, and we were overall happy with the service. They did everything according to our expectations. They were quick and did quality work. They are reliable. They are the one roofing company that has been around the longest in the peninsula. I thought they did an excellent job. They were on time, did what we wanted them to do and what they said they would do, at a fair price. They did a good job for us. They were really on top of it, they didn't leave any unfinished work. I thought they did a good job, I have recommended them. I had to keep on them and keep calling the manager, the manager said they were going to finish it, it took a long time. They used to be great, but they aren't the same. This year my garage leaked badly and we had to call them out. It took months and months for them to complete it. I had to call and call to just get someone out to quote the job, it was about 3 months until they actually did.